News | The Company | Nomura Kohsan Co.,Ltd. 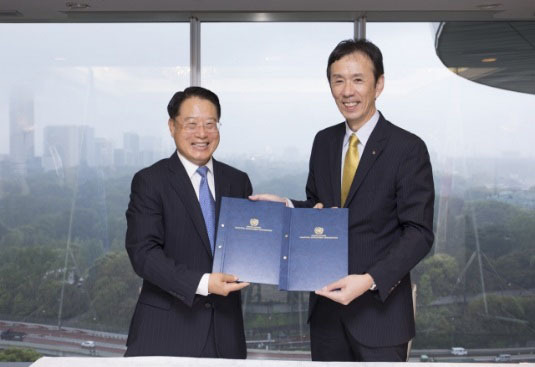 Nomura Kohsan Co., Ltd has signed a new Memorandum of Understanding (MoU) with The United Nations Industrial Development Organization (UNIDO). Existing MoU which has been handled for four years will expire at the end of April. Nomura Kohsan president Yasushi Fujiwara and UNIDO Director General LI Yong signed the new MoU on cooperation between two parties about sustainable management of mercury waste. The scope of MoU is increasing the technical capacity of recipient stakeholders in assessing, managing and reducing the risks to human health and the environment posed by mercury and mercury-containing waste. 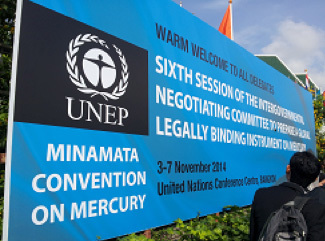 In addition to above, two parties agreed about cooperating for mercury disposal solutions. 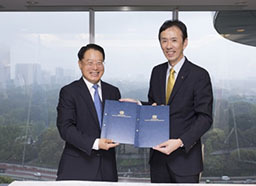 Nomura Kohsan and UNIDO will propose to work together to develop and test pilot projects. Nomura Kohsan will contribute to develop sustainable management of mercury waste through our technologies and know-how. 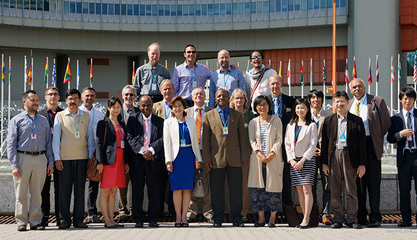 The Expert Group Meeting (EGM) on the elimination of the use of mercury in Chlor-alkali chemical processes was held by on June 28-29, 2016 in Vienna. 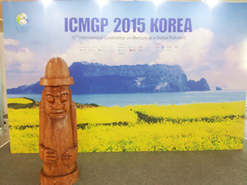 The EGM was hosted by the United States Environmental Protection Agency (USEPA) and the United Nations Industrial Development Organization (UNIDO), co-leaders of the Chlor-alkali sector under the UNEP Global Mercury Partnership. Sales Manager Hiroki Iwase and coordinator Natsumi Oka represented Nomura Kohsan in the meeting. Along with 20 other expert participants selected from governments, industries, international organizations and NGOs, Nomura Kohsan joined and contributed to the discussions, mainly in the field on decommissioning of chlor-alkali facilities. 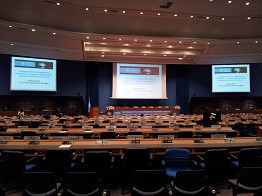 The second Japan-UNIDO Multi-Stakeholder Cooperation Dialogue was held on May 12, 2016 in Tokyo, Japan. 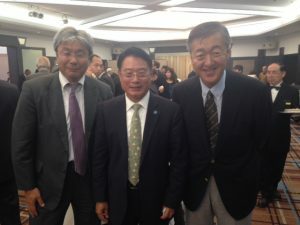 Mr. LI Yong (Director General of UNIDO), Mr. Taizo Nishikawa (Deputy to the Director General) and other officers from UNIDO Headquarters and UNIDO ITPO Tokyo participated in this dialogue as the hosts of this dialogue. 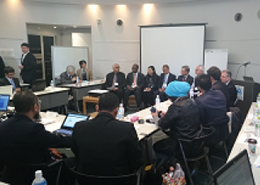 From the Japanese side, representatives from the Ministry of Foreign Affairs (MOFA), Ministry of Economy, Trade and Industry (METI) as well as from municipalities, public organizations and private sector companies participated in this meeting. The meeting focused on UNIDO’s approach to industrialization in Africa, including UNIDO’s activities in the area of energy, and the utilization of Japanese technologies and investments to advance inclusive and sustainable industrial development. 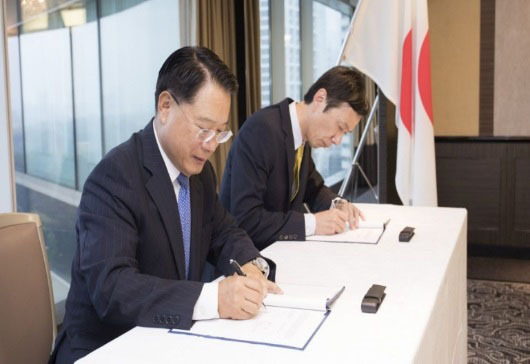 As one of only two Japanese, private sector companies who have concluded a MOU with UNIDO, Nomura Kohsan engaged in the discussions by explaining the ongoing, collaborative project between UNIDO and Nomura Kohsan in the Philippines. 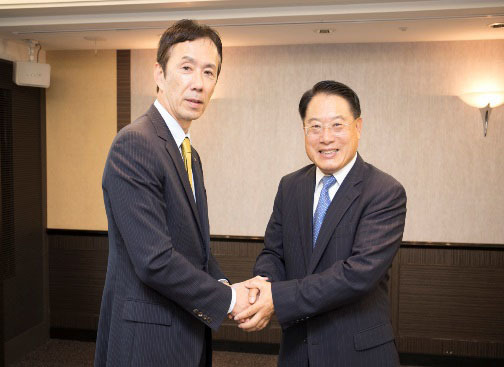 Mr. LI Yong specifically referred to our efforts to expand proper mercury treatment technology as an example of the cooperation between Japanese companies and UNIDO, which was then published in Nikkan Kogyo Shimbun Ltd., a leading daily newspaper specializing on industrial affairs. The seventh session of the intergovernmental negotiating committee on mercury (INC7) was held from March 10 to 15, 2016 in Dead Sea, Jordan. 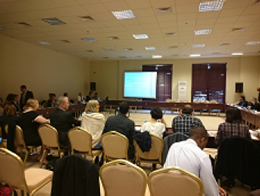 The seventh UNEP Global Mercury Partnership Advisory Group meeting (PAG7) was also held on March 8, 2016 at the same venue. International Operations Manager Yasuyuki Yamawake and consultant Jun Nishida took part in PAG7 and INC7 from March 8 to 11, 2016 on behalf of Nomura Kohsan. 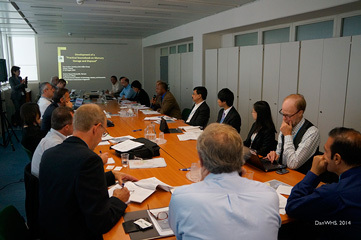 During this conference, Nomura Kohsan met with UNEP, UNIDO, GEF representatives and delegations from several countries. 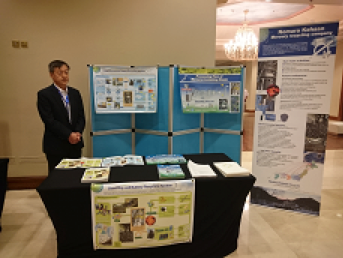 With UNEP and GEF, Nomura Kohsan presented details on a current project regarding mercury waste management in Malaysia and explored the possibilities of broadening its scope as a GEF project. Nomura Kohsan also discussed the progress on a developing GEF project—to improve mercury waste management in the Philippines— with UNIDO, delegation from the Philippines and Ban Toxics (a NGO based in the Philippines). 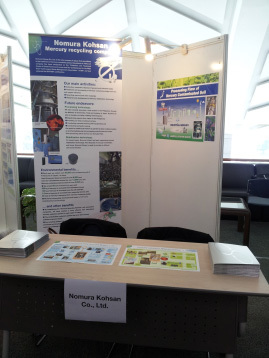 Participants also visited our exhibition booth where we provided information on our mercury recycling business. 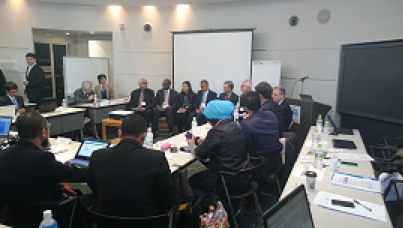 UNEP organized a joint, regional workshop for Environmentally Sound Management (ESM) of Mercury Wastes and Mercury Initial Assessment (MIA) and a biennium meeting for the Global Partnership on Waste Management (GPWM) in Osaka, Japan from December 16 to 17, 2015. Nomura Kohsan took part in this meeting as an observer. During this meeting, Nomura Kohsan informed delegations from the Philippines, Indonesia and Malaysia about our ongoing projects of mercury waste in their countries. We also had an exhibition booth where we provided information on our mercury recycling business. The 12th International Conference on Mercury as a Global Pollutant (ICMGP) was held in Jeju, Korea. During this conference, the National Institute of Environmental Research, Korea and Yonsei University, Dept. of Environmental Eng. 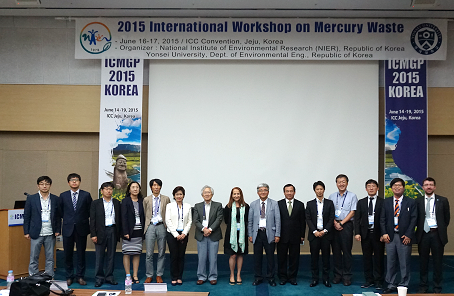 organized the International Workshop on Mercury Waste. 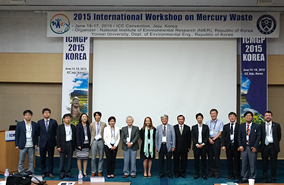 Information regarding current mercury management activities in several countries was exchanged, and the session concluded with a discussion on the future challenges. 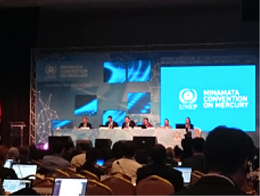 International Operations Manager Yasuyuki Yamawake and Consultant Jun Nishida spoke on behalf of Nomura Kohsan as one of the six presenters which also included representatives from UNEP, Spain, Cambodia, Korea and France. 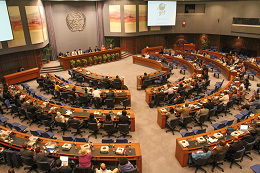 The sixth session of the intergovernmental negotiating committee on mercury (INC6) was held in Bangkok, Thailand. During this conference, the Global Environment Facility (GEF) organized a side event highlighting the importance of private sector engagement in global efforts to reduce mercury pollution. 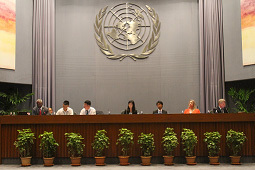 The opening remarks were made by UNEP Deputy Executive Director Ibrahim Thiaw and GEF CEO Naoko Ishii. This event joined together four panelists, representing the private sector as well as the coal and chlor-alkali industries, to engage in a discussion on the role of private sector and the role of GEF. International Operations Manager Yasuyuki Yamawake and coordinator Natsumi Oka, spoke on behalf of Nomura Kohsan as one of the four panelists. Participants also visited our exhibition booth where we provided further information on our mercury recycling business. Watch an overview of Nomura Kohsan on YouTube! 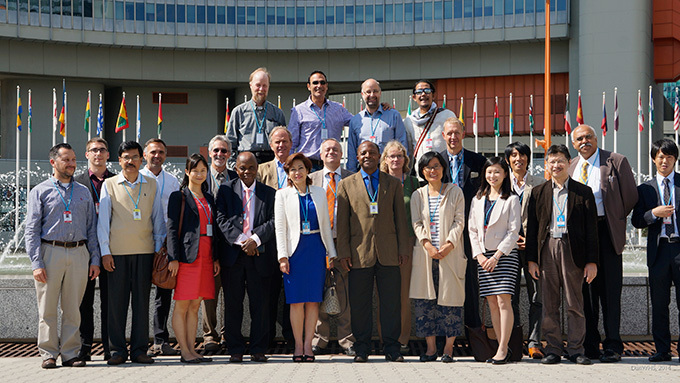 The Expert Group meeting for the Practical Sourcebook on Mercury Waste and Storage (UNEP/ ISWA) was held in Vienna, Austria. 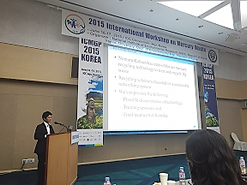 Along with 30 other expert participants selected from governments, industries, academia, international organizations and NGOs, Nomura Kohsan joined the discussion and shared insight on mercury waste management. Copyright © Nomura Kohsan Co., Ltd. All Rights Reserved.